Loyce shares her story and the importance of the Global Fund in saving her life. Loyce is 25 years old and was born with HIV. Before the age of 10, she lost both her parents and her brother. 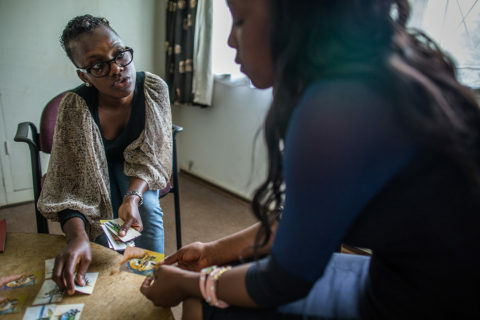 Loyce had a difficult time growing up with HIV and accepting her status: she faced stigma and verbal abuse from some of her relatives, nearly committed suicide and missed school often due to ill health. She didn’t start receiving anti-retroviral treatment (ART) until she contracted tuberculosis (TB) when she was 12 years old; during that time Loyce had to manage both TB and HIV treatment for the first time. In 2004, Loyce joined Africaid Zvandiri Programme as a beneficiary where she had the opportunity to meet her peers with the same status. She began to gain confidence and realized she had a life ahead of her. In 2009, she began working with Africaid as a peer counsellor. She is now the advocacy officer for issues around treatment, care and support and is involved in national and global policy, strategy and programmes development with a special focus on children, adolescents and young people living with HIV. As a member of the Young People’s Network hosted by the National AIDS Council, Loyce contributed to a variety of national policies, guidelines and training curriculum. 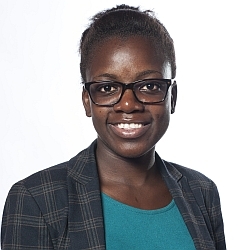 Loyce is also a member of the Communities Delegation to the Board of the Global Fund and she was the Y+ co-Chair for the Y+ Global Network of Young People Living with HIV from 2014-2015. Currently, of the 1.4 million people living with HIV in Zimbabwe, 880,000 of these people are on ART through Global Fund-financed programmes; Global Fund programmes have also treated and detected 68,700 cases of TB.